How do scientists create specific mutations? Suppose I want to create a mutant like Antennapaedia how will I go about accomplishing it ? I know that radiation and certain chemicals are mutagenic. So do scientists subject animals to such mutagenic chemicals and then wait for their progeny to see what mutation it has got ? Are there any specific protocols to create a specific type(for eg.homeotic) of mutant or is it pure luck ? Sorry if I am being too naive! Thats basically the oldest method to induce such mutations. For this purpose either radiation (x-rays) or mutagenic chemicals (like Ethylnitrosourea) have been used for this purpose. This method is undirected, so you never know what the outcome will be untill you see the off-springs. Using this method to get specific mutations is relative difficult. Its used for the detection of genes which deliver visible phenotypes (for example it has widely been used for the analysis of pigmentation in mice, since you can easily spot mutations). Newer methods can target genes directly and either introduce or remove sequence areas. These techniques make use of homologous recombinases. In short you bring in you gene of interest in the modified version on a plasmid into the cell which you want to change. 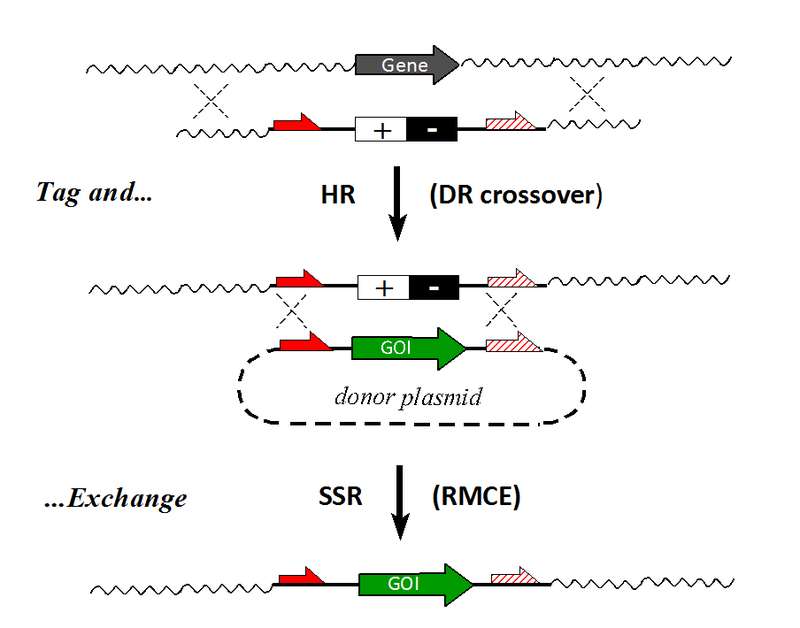 The plasmid also expresses the recombinase (this can be under a cell specific promoter to target specific cells) which then recombines the DNA between the plasmid and the genomic DNA. Other examples for site specific altertions are the Cre-LoxP-System or the Crispr/CAS-System. Not the answer you're looking for? Browse other questions tagged dna protocol mutations evo-devo or ask your own question. Are there known downsides to removing UV mutation hotspots to prevent some skin cancers (Genetic sunblock)? What specific mutations can cause an apoptosis mechanism to malfunction? How do mutations actually occur? How do point mutations arise from mistakes in DNA replication? How do mutations with very little fitness benefit get fixed?